KUCHING: Parti Keadilan Rakyat (PKR) Sarawak leadership expressed their concern over wild allegations and slander made against its chairman Baru Bian for representing four clients in the apostasy (murtad) case. “We must not be emotional in this issue, or quick to slander and judge others. In this case, we must remember Baru Bian is a lawyer who perform his duty to represent his clients,” explained PKR Petra Jaya chairman, Baharuddin Mokhsen. Baharuddin told The Borneo Post that he and few other PKR Muslim leaders were subjected to cyber attack in the social media and chat groups for allegedly becoming Baru’s tools to convert the Muslims to Christianity. “Some people have started making up stories, accusing Baru Bian of actively involved in proselytising Muslims. 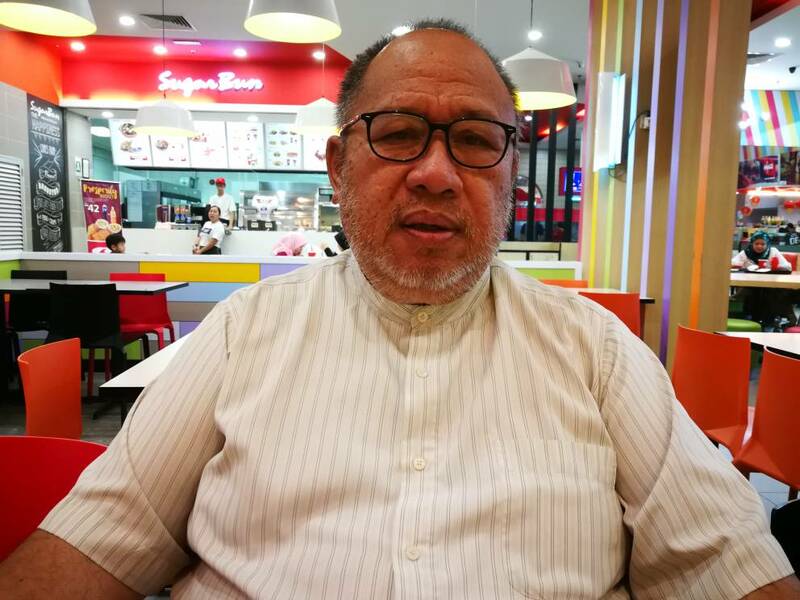 “If they have evidence that Baru Bian is involved in proselytising the Muslims, why the Home Ministry, police and Sarawak Islamic Council did not take any action against him? If the allegations are indeed true, Baru Bian will be arrested because proselytising Muslim can lead to unrest,” Baharuddin stressed. Baharuddin stressed that he has known Baru for over a very long period of time in politics, and insisted that the latter has never tried to convert him or other PKR friends. He acknowledged that Baru is a staunch follower of Christianity, and respected him for showing great example to other believers. “True, he is a very strong follower of Christianity. What is wrong with that? In Islam, we are taught that is his right. Surah Al Kafirun (109) clearly stated this – For you is your religion, and for me is my religion,” Baharuddin stressed. He called upon the critics to look into themselves and do some reflections on why the four were going to the court to declare themselves murtad? “This issue is only involving four of them. What about those converted to Islam during BINA era and choose to leave Islam now? Why only this case is being sensationalised? What is the role of the Islamic Department and constitution in these other cases? “What about our people who robbed, who commited adultery, abused drugs, sniffed glue, drank liquor or took bribe? What are our actions?” he questioned. He therefore called upon the Muslims not to fall over these cheap politicking. “Please do our own work, look after our family, look after the people, look after our community, look after the Muslims so that they will not do anything unIslamic. Baru Bian holds dearly to his Christian faith, what is wrong with us trying to emulate him and become a better Muslim and follow all the basic teachings of Islam?” Baharuddin stressed.